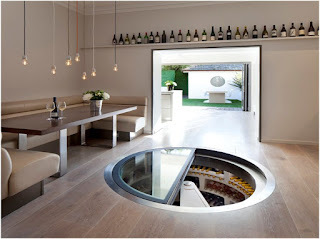 Designed by Jones studio, this wine cellar provides an unconventional experience of wine storage. Built in a space of 880 sq. ft., the architecture of the Private wine house in the valley seems like a round brick-built house but inside you would see the treasure it beholds. This wine cellar design won 2014 Brick in Architecture National award and 2009 Arizona Masonry Guild award. 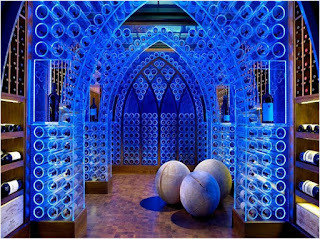 Reminding one about the history of wine storing and its religious context, this wine cellar is shaped like a cathedral and can make you awestruck with its elegance. Designed by Beckwith Interiors, it is a symbol of the religious connection that wine had in ancient times. 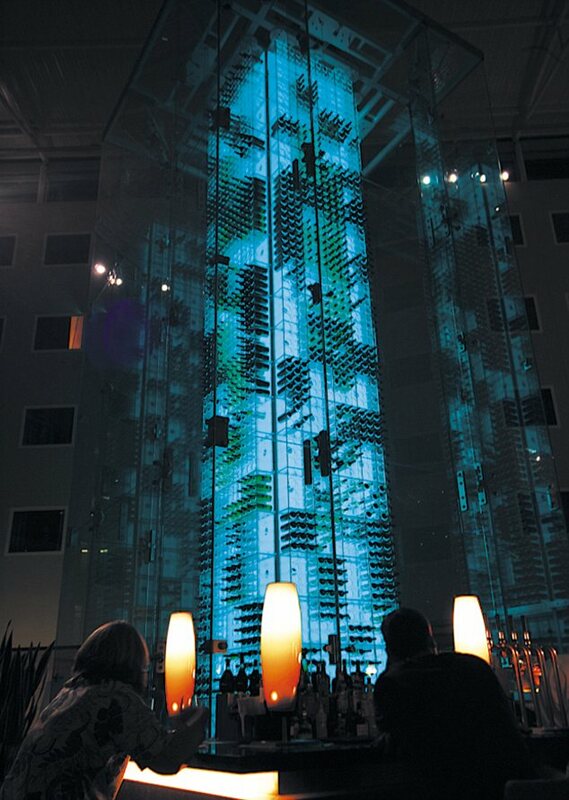 This architectural phenomenon makes use of LED lighting system with a tubular motif to create an effect that is sure to lure you into the world of wine collection. ‘Vinum’ is the name given to one of the most expansive and expensive wine cellar present at the Huvafen Fushi resort in the Maldives. 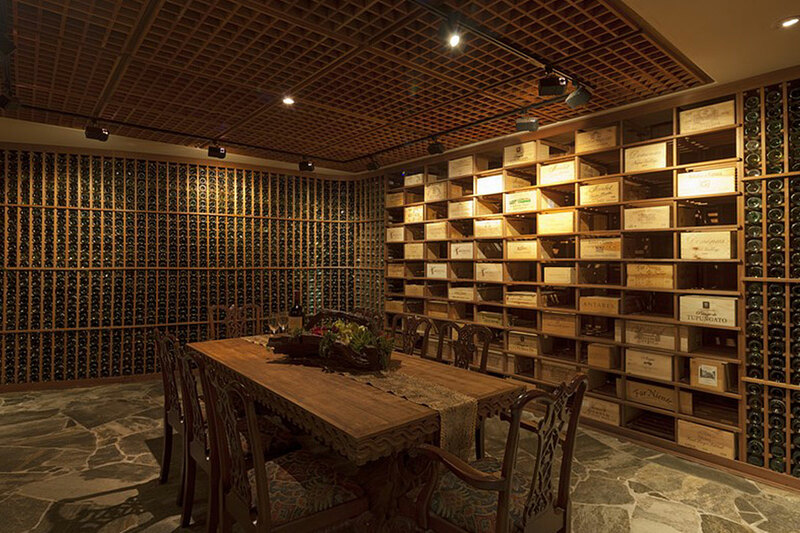 Located at a depth of 8 feet and having a collection of both vintage and modern labelled wines from various parts of the world, this is one of the most cherished wine storage cellars that wine lovers can get inspiration from. Also if you tend to visit the resort, you can enjoy a five course meal in the cellar, but only once a week. Surely, a paradise for wine connoisseurs! 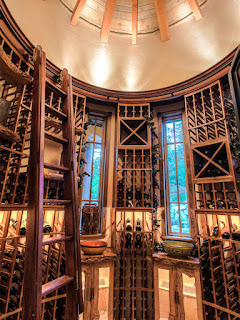 This underground wine cellar is stellar with its symmetrical design between the wine racks and the ceiling. This is the place wherein you could sit in tranquility and enjoy the traditional taste of the wine. The space provides you with the perfect table and chairs, so you could enjoy the fruits of yester-years from the glass in your hand. A perfect ambience for wine tasting! 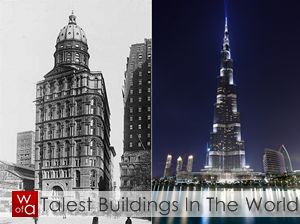 This architectural beauty with its tower design would send you back into the times wherein castle and manors were in demand. Whether it is the curved walls or the dome-shaped ceiling, the entire feel of the place is kingly. The design inspired by the libraries of yore has the desired effect on the spectator that the designer wanted. Also to ensure that you could reach every bottle in the place, they provide you with a rolling ladder. 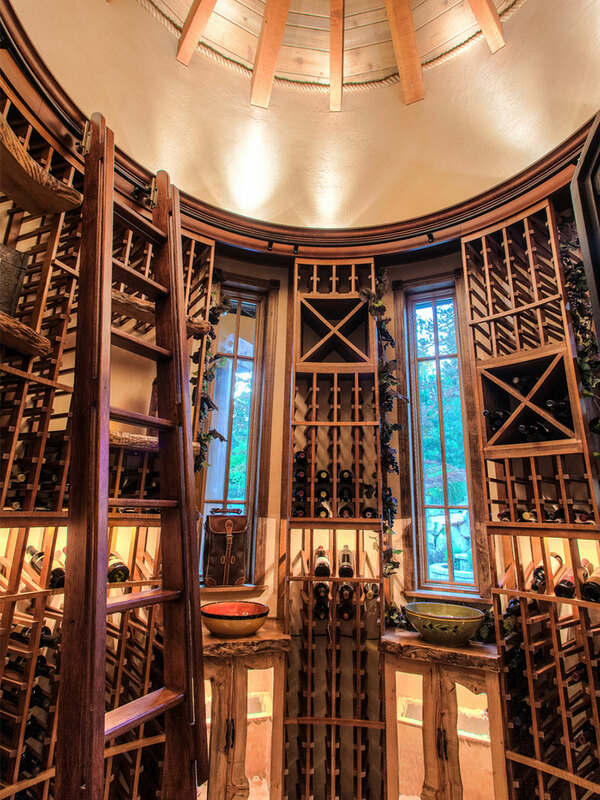 This wine cellar can inspire you to live life king-size. 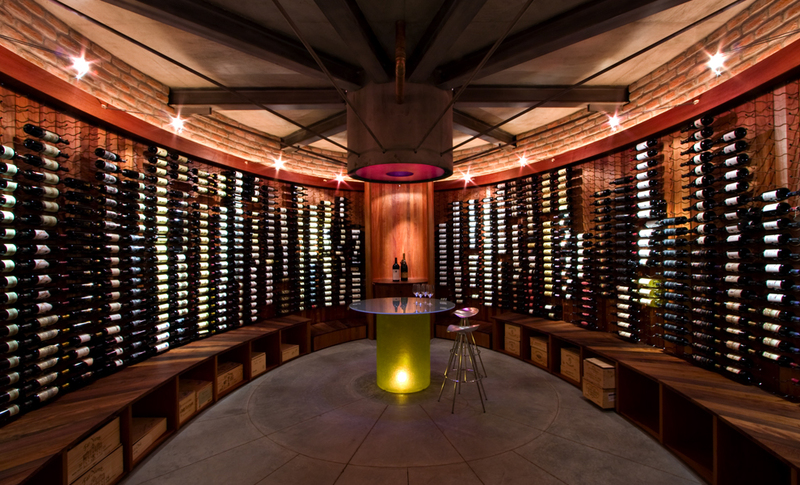 Designed by Focus Wine Cellars, this wine cellar was built in a time span of seven months. 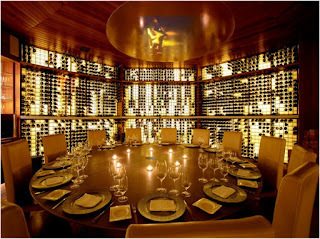 With the exquisite variety of highly rare wine bottles, the structure of the space is worth drooling about. The cellar is U-shaped and one has to enter via a tunnel from the main living room. 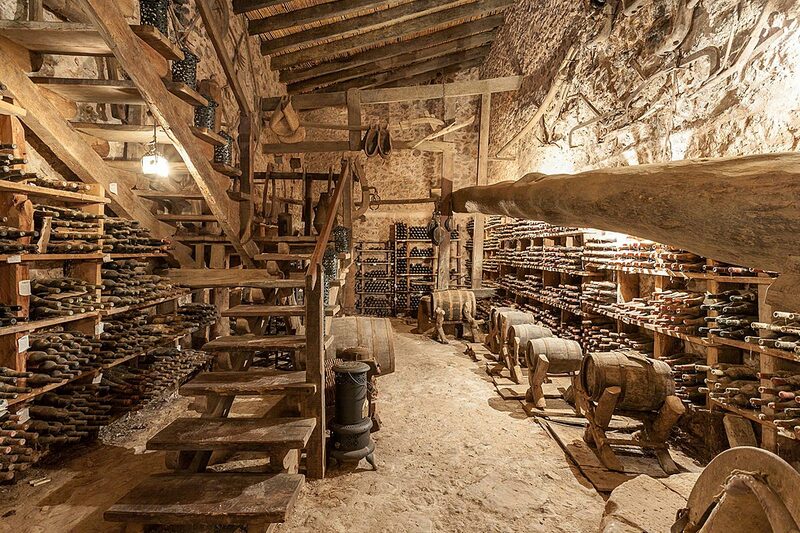 And the best thing about it is that, the entire security system of the wine cellar is controlled via computer tablet. 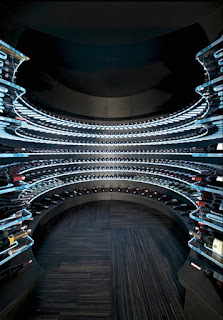 It is one of those technologically advanced but traditionally rare combination of wine cellar for you. 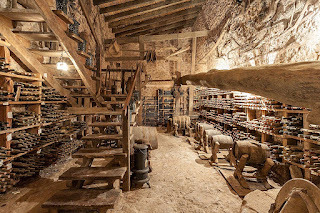 If you are a wine connoisseur, then surely you would be investing in creating a spectacular cellar for your collection and this Mallorcan time capsule is what can provide you with the exact inspiration. With a capacity of more than 5000 bottles present, this design is out of the general wine cellar fantasy of every wine lover in the world. There are traditional barrels present and seats of the medieval period. One of the places that you can call as 'Blast from the Past'. 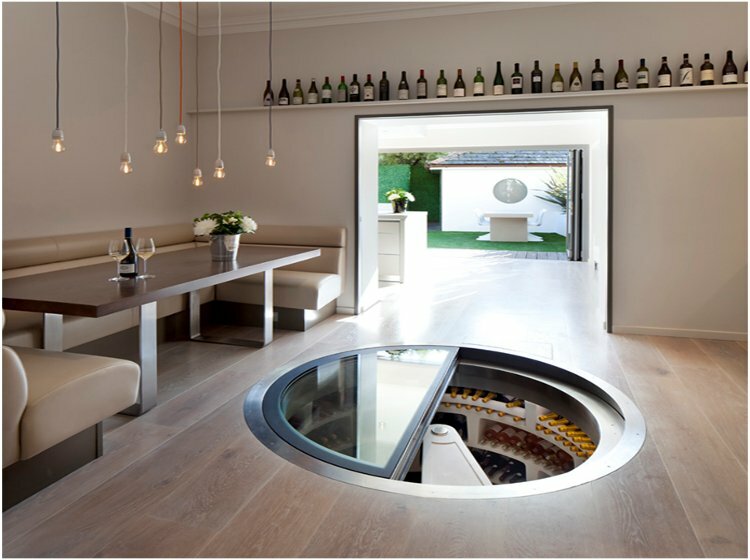 UK based Spiral Cellars have created this spectacular architectural specimen that is aesthetically pleasing but also having space for more than 2000 wine bottles. 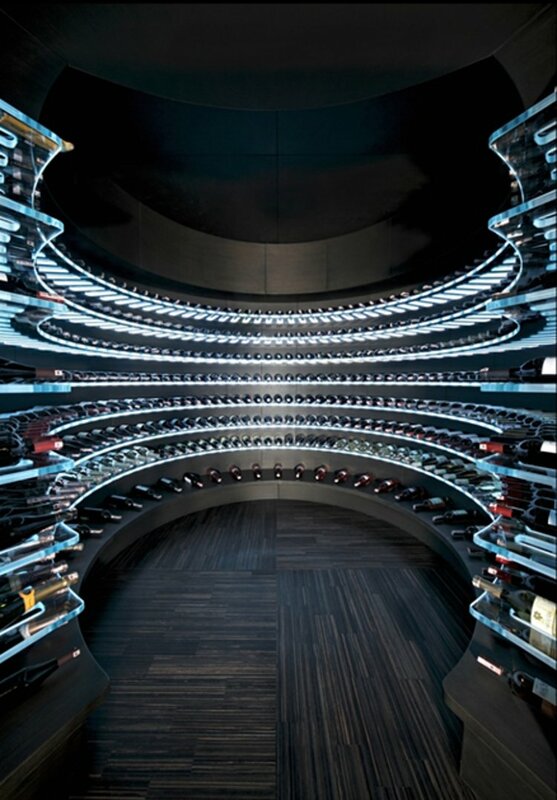 The suave cellar stores wine within easy reach of the collector and even has space to keep pantry goods. Moreover it’s like your own underground space for divine pleasure. You might feel the neon lights directly taken from the movie ‘Tron: Legacy’, but it is another of Focus Wine cellars designed work situated in Turkey. The curved cut glass shelf designs for the bottle give it a futuristic appeal. It is property of a prominent Turkish businessman and consists of a vapour barrier with thermal insulation and air-conditioning so as to ensure that the wines are properly stored and in best condition. 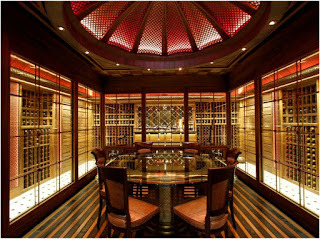 The Grand tower of the Pudong Shangri-La hotel is different in every way but what makes it special is its wine cellar. 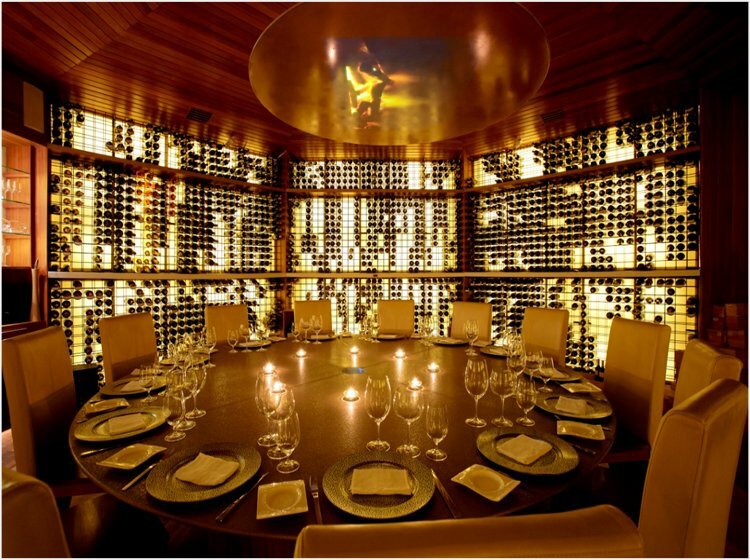 The Jade on 36 restaurant (it is situated on the 36th floor) is a house for more than 2000 bottles of wine in a special copper gallery. They make use of a modern method of storing wine via using modern Chinese containers that are used for storing rice. 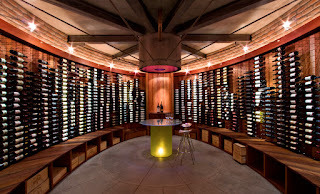 With a beautiful lighting facility, this wine cellar is an eye-catching phenomenon and with its ancient and modern mix of wine storage, it is a star among the wine cellars of the world. 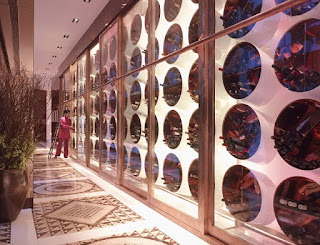 This is a rather unique skyscraper wine cellar that conjures up the fantastical image of elegancy and luxuriousness at its peak. If you order a bottle of wine, the so called ‘Wine angels’ would soar above you to pick out the bottle from the 43 feet high tower and thus, making your day with their exceptional and one of a kind service. The visual impact and the novelty of the design attract hordes of wine enthusiasts to the hotel and are considered to be an ‘ocean among wine cellars’. These are the inspiring Wine cellars which for sure are going to cater to your taste-buds and hopefully help you to imagine and design your own wine cellar in a fashionable manner.